We are a Bay Area Pedestrian Accident Law Firm, devoted to accident victims and their relatives, with over a quarter century of experience. Pedestrians are completely vulnerable and therefore suffer a vastly disproportionate amount of severe injuries and wrongful death when an accident involving a motor vehicle occurs. Approximately 5,987 pedestrians were killed (16% of all traffic fatalities), and 85,000 pedestrians suffered injuries, in U.S. traffic accidents in 2016, according to the National Highway Traffic Safety Administration. Pedestrian accidents raise unique issues, and may involve pedestrians or joggers who are struck in a crosswalk, sideswiped by a motor vehicle, hit while in a parking lot, struck while exiting a bus or car, or otherwise injured or killed by a driver who is at fault. All too often, drivers are inattentive to the presence of pedestrians and don't sufficiently look in the direction their car is traveling. If you or a loved one has been in a pedestrian accident, it is extremely important to talk to a qualified pedestrian accident attorney immediately. If you wait too long to speak with a lawyer, evidence in your case may be lost, witnesses may disappear, and insurance companies may take advantage of you. Once we accept your pedestrian accident injury claim, an investigation is immediately begun and expeditious action is taken to secure and preserve evidence relevant to your claim. The Law Office Of Daniel H. Rose, which handles exclusively personal injury and wrongful death claims, has a distinguished reputation for obtaining for its clients the compensation and accountability they rightfully deserve. An injured pedestrian can recover all of the same types of damages that someone injured in a car accident or bicycle accident would be entitled to recover, including past and future medical expenses, lost earnings and earning potential, pain and suffering, loss of enjoyment of life, emotional distress, loss of parental or spousal financial support, loss of spousal relations, property damage, incidental expenses, and other types of physical, economic, and sometimes even punitive damages that result from the accident. We work extremely hard to maximize your damage recovery, and endeavor to relieve you of as much burden and hassle as possible so you may put all of your energy towards healing. 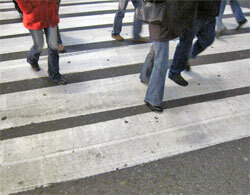 an experienced San Francisco pedestrian accident lawyer. 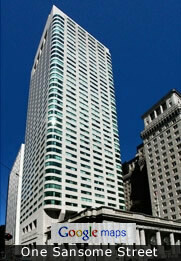 We collect no fees or expenses unless we recover damages for you by way of settlement or verdict. Can I have an attorney talk with me and evaluate my case free of charge and obligation? 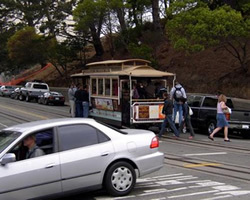 We are more than happy to provide Bay Area pedestrians with a careful attorney evaluation free of charge and with no obligation whatsoever. Just give us a call. Learn more about Daniel Rose’s experience and reputation, and more about what you will experience when you confer with an attorney. Learn more about Daniel Rose’s experience and reputation, and more about what you will experience when you confer with an attorney. Last year my sister was nearly killed while walking through a crosswalk in the city on her way to work. ... We were referred to Dan via word of mouth. We spent a while checking around the Internet and soon knew we had found the right person. ... Dan was more than fantastic and more then we could have expected from an attorney. I am still shocked at how quickly he responds to questions and emails even while on vacation. Dan is an EXPERT in personal injury and leaves no stone unturned when it comes to gathering data about the case. Dan treated us like we were his own family member he was representing. I HIGHLY recommend Dan!!!!!! I was hit by a car while crossing a crosswalk and had to get surgery done. ... A quick google search for "pedestrian accident lawyer" brought Dan's name up. And, all I can say is, it's been smooth sailing since. ... Long story short, the case was settled in just a few months, and very well too. ... Hopefully, you'll never be in a situation where you'd need an accident lawyer, but if you do, then Dan is definitely your man. A strong case requires a strong advocate, an experienced pedestrian accident attorney working to obtain for you the compensation you deserve. Call The Law Office Of Daniel H. Rose at 415-946-8900 for a free, no-obligation, confidential initial consultation and case evaluation by an experienced San Francisco pedestrian accident lawyer. Pedestrian advocacy organizations such as Walk San Francisco strive to make Bay Area streets and sidewalks safer and more enjoyable for pedestrians through the establishment and enforcement of safety related laws, redesign of the most dangerous streets, and as a governmental watchdog. 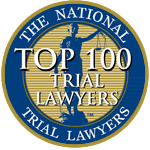 Our law firm applauds and supports their efforts. The following video, pertaining to San Francisco and Sacramento pedestrian safety, produced by Perils For Pedestrians Television www.pedestrians.org, is brought to you by the pedestrian accident attorneys at our office. 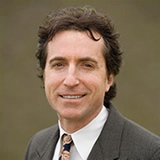 To learn more about how this Bay Area pedestrian accident law firm can help after your pedestrian injury, or to discuss your pedestrian accident claim or wrongful death claim with an experienced San Francisco Bay Area personal injury lawyer, call San Francisco pedestrian injury attorney Daniel Rose at 415-946-8900.